Train to be a "Security Professional"
Armed officers in Illinois need 40 hours of instruction in order to be certified by the department of professional regulation to carry a firearm in the line of duty. After completing 20 hour basic course student enrolls in a 20 hour firearm class to become state certified. 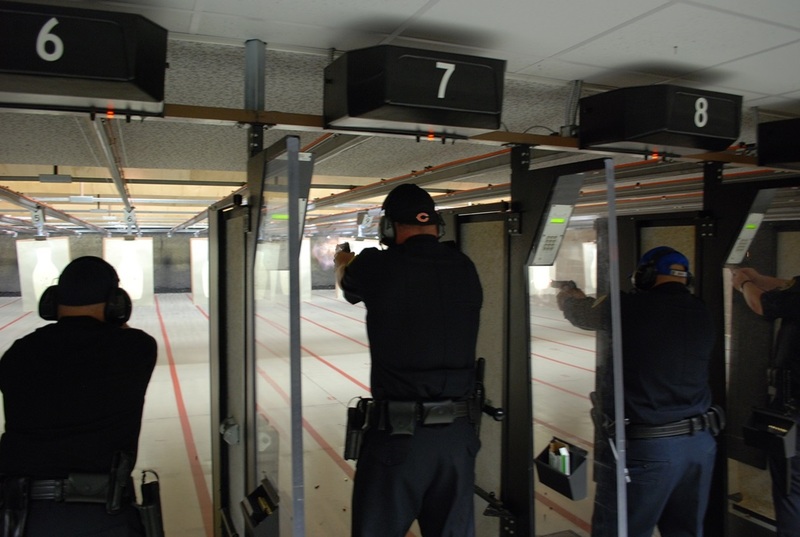 Class room instruction is followed by a written test, firing range practice and final qualification. A current Illinois Firearm Owner's Identification card (FOID) is a prerequisite to receiving firearm training at PTC. Your FOID card must be presented to the instructor at the beginning of the first day of class. Out of state student are exempt from this requirement. (Attendees must be 21 years or older for this course). Revolver $100.00/Semi-Up grade $70.00 when taken with firearm course. Range is every Saturday at 12Noon to 2pm. Range Fee and Ammunition is not included. Also offering Revolver/ Semi-Automatic/ Shot Gun/ Rifle upgrades for $100.00 per weapon in conjunction with the 40 hour security course. A $100.00 fee will apply to attendees not currently enrolled in a course and looking to upgrade their current weapon statue. The department of professional regulation requires a $55.00 registration fee to be license as a security officer in the State of Illinois.